Another protest action of traders occurred in Armenia on August 13. This time they took to the streets of the town of Artashat to express dissatisfaction with the work of representatives of the tax authority. “They terrorize the whole town. About 13-14 people carry out checks. They fine shops with goods worth 300,000 drams ($622) in the amount of 500,000-600,000 ($1,036-1,243),” said one of the traders. Another shopkeeper complained about deliberate checks with a view to find violations and to fine. He said that first, the tax inspectors check cash registers, and if they are all right, the inspectors check the registration of employees. If everything is again all right, they cling to excise duties. “Tax inspectors have been robbing us for many years. They come to check us, try to find any minor shortcoming, force to pay huge fines for every small fault. We can no longer work normally,” said one of the traders. After a while, the head of Armenia State Revenue Committee David Ananyan came to meet with the protesters and promised to conduct an official investigation. It is noteworthy that many Armenian traders face obstacles in doing their business in the country; therefore, many protests took place there in recent years. 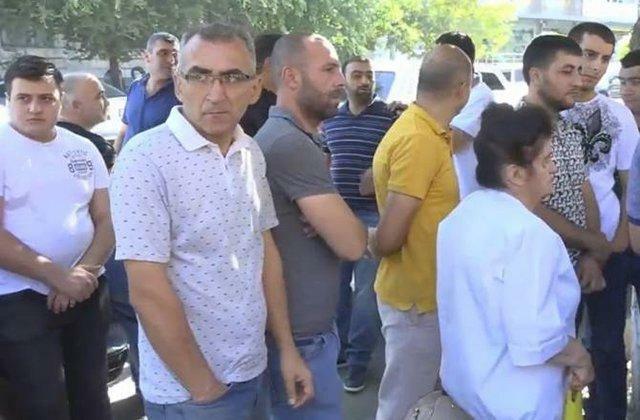 For many months traders of Armenian fairs, in particular of the shopping center Arinj Mall, demanded the government to amend the Tax Code and to release them from too much paperwork, which they considered as additional tax burden. In November last year, shopkeepers held a protest in front of the National Assembly, where they noted that the tax service employees demand from them to provide a document on the movement of each imported good. The traders claimed that this is unnecessary red tape that requires involvement of additional workforce. The shopkeepers also held such protests in April 2017 in front of the Government and Parliament buildings. Then they claimed that the Armenian tax authorities terrorized them by carrying out inspections at their shops and demanding their documents or bribes.